The Pixy is a fast vision sensor that you can quickly “teach” to find objects. To do that the CMUcam 5 uses an Omnivision OV9715 image sensor and a NXP LPC4330, 204 MHz, dual core micro controller. The image sensor is fitted with a replaceable M12 lens. It comes with firmware and software to track objects based on color signatures. Pixy uses a hue-based color filtering algorithm to detect objects. Pixy remembers up to 7 different color signatures, so you can teach it to track 7 different objects with unique colors. It does this at a frame rate of 50 Hz. That’s pretty fast. Pixy comes with a cable to connect it to the ICSP connector of an Arduino. In the box there was also a small bag with some screws and brackets. All the connectors are on the back of the board. There is a mini USB connector to hook it up to your PC. A 2 pin connector to power it, a 6 pin connector to hook up 2 servos. The most interesting connector for me is the 10 pin connector. This connector provides I2C, SPI and serial connections. So you can hook it up to whatever micro controller you want, the pins are 5V tolerant. I couldn’t find the pin out of the 10 pin connector on the Pixy wiki so I carefully did some testing to find out the pin out. I installed the software as a regular user and fired it up without further problems. I then connected the Pixy to my PC with a mini USB cable. There are 2 ways of teaching Pixy an object. You can just press the button on the Pixy and hold an object in front of it. Or you can teach it an object through the Pixymon software. In my experience it’s more accurate when using Pixymon. It’s also much handier when you want to teach it multiple objects. The software is very simple to use. In minutes I had the Pixy tracking on object. I was pretty amazed by the simplicity of the process. 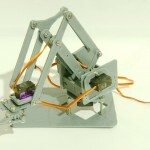 Pixy has a connector to hook up 2 servos, as you can also buy a pan/tilt kit with it. I already have several cheap pan/tilt kits so I didn’t order one. 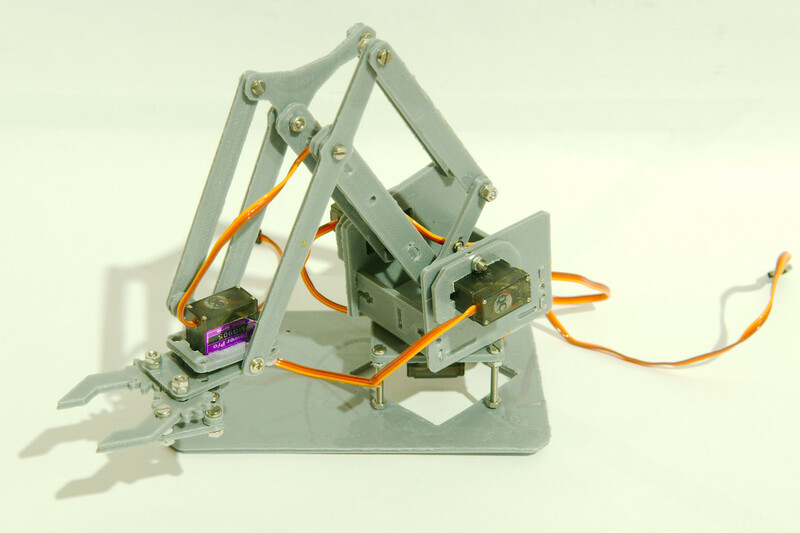 The Pixymon software lets you set up the servos. I wanted to learn how to process the data from the Pixy and decided not to use the servo outputs of the Pixy but let an Arduino control the servos. I used I2C to let the Pixy talk to an ATmega1284P. The Pixy outputs data in the form of one array per detected object. Each array contains the x and y position of the center of the object and the width and height of the object. This makes it very straightforward to process the data. 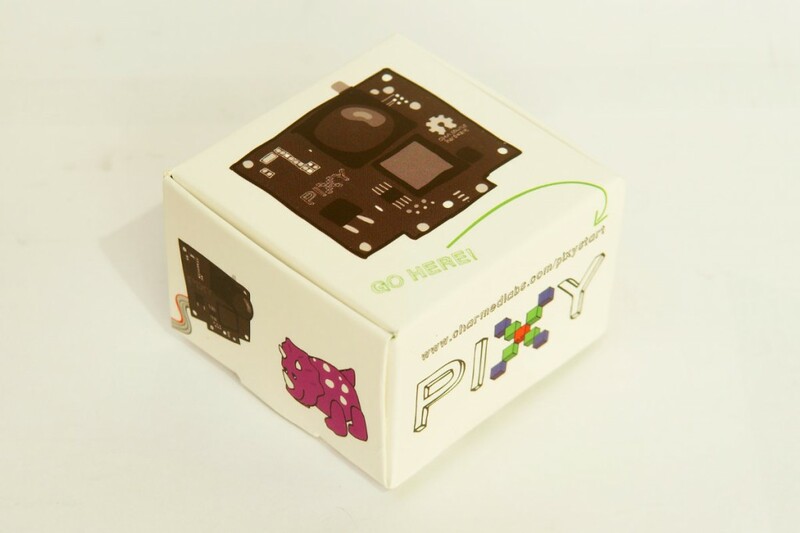 The Pixy is a fantastic and super easy to use vision sensor. If you’re a bit handy you can have a robot tracking an object in no time. At the moment the firmware only detects objects based on color. The makers of the Pixy are working on new firmware to track objects using color codes. That should make it possible to track more advanced objects. I did have some trouble with the camera, sometimes I could not get it to track an object. Luckily the Pixymon software lets you see what the camera is seeing. It was mainly caused by the bad lighting in my room, there was not enough color saturation in the object I wanted to track. You need a well lit space to make it a bit easier for the camera. Hi Bajdi, very useful post. 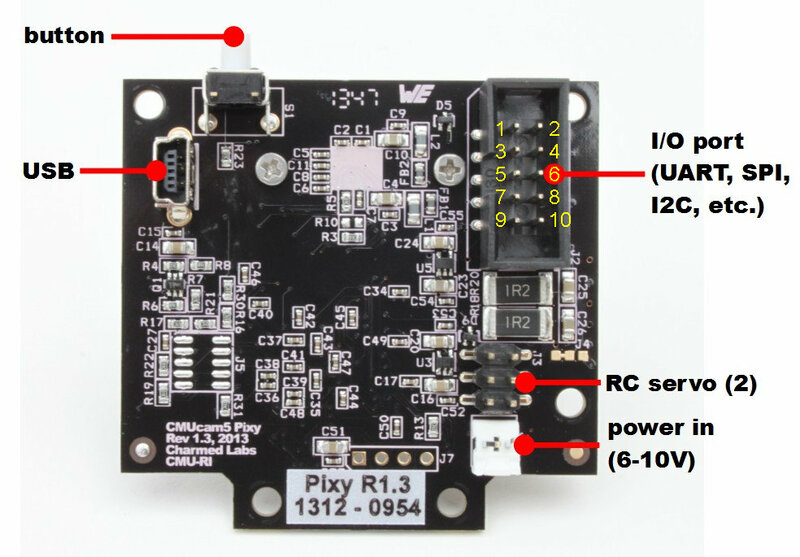 Have you been able to pair your pixy 5 with an arduino due board? If you have could you please give me some help with it. I keep getting errors. Hello sir, I am glad I found your site, I have a pixy too but i did not know what else to with it beside pan and till that`s the only thing they show to do on their website. 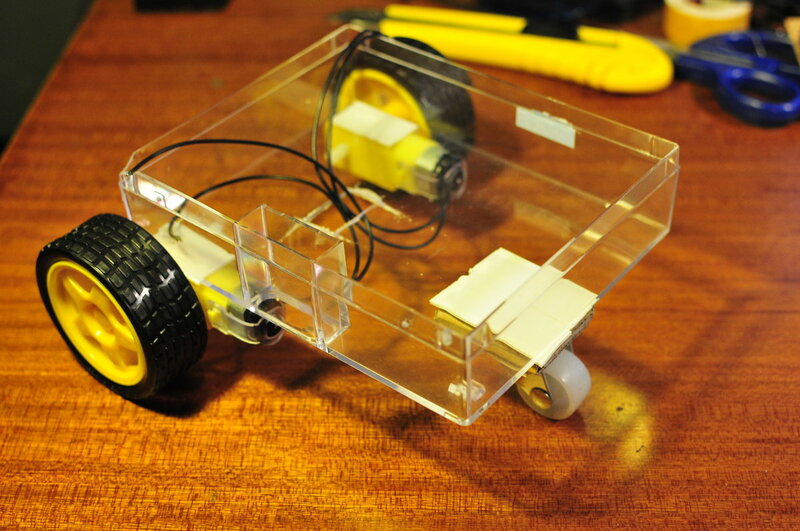 I want to ask you about your code, do you load this into arduino or to pixy board, and where do you connect the motors and servos, can you post a schematic with the wiring, I have one o those arduino cars like yours with H bridge.thank you so much. I used an ATmega1284P in the video. Just change the pins to suit your Arduino, EN1 and 2 must be pwm pins. You will also need to change the encoder pins. I`m waiting for encoders, thank you. I hope it will work, I will let you know. I just want to let you know that i will post a video soon about my build, got it to follow objects and run motors,i`m working on slowing motor down they running to fast. Bad guys broke in to my house and still my laptop that`s why it took long to build robot, thank you for the code. change microcontroller to arduino mega because it has more pins. hello, how to get pixy library into arduino programmer? Uh, just install the Arduino IDE and pixy library. Then you can upload the example sketches to your Arduino. Hello and good work. I try to use your sketch on my own robot and i have a question about the line “const int motorTime = 100;” why 100? I also supose that “lpuse” and “rpulse” variables are not necessary since they do not appear in the main loop. So I can delete these variables in ISR, right? In fact i did.Ok for ltime and rtime but lpulse and rpulse are set in the interrupts but are used nowhere else so what are they for. Do not take it for a critique just want to be sure to understand. Ok thanks. And congratulations for your website very useful. 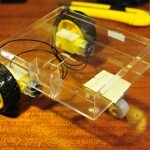 hey i have a similar project, i am supposed to design and prototype a colour tracking robot with obstacle avoidance.. i would love to see your circuit for that robot. I’m learning Pixy for a school project. This post has been super informative. Thanks! 1. Can you give a short explanation of the code lines 78-101? I’m not sure what the pulse is, and why you’re checking it. 2. If there were two objects of the same color, the pixy has a hard time understanding what to do. I assume with the current code, the bot wouldn’t know where to go. Is it possible, using the pixy, to tell the bot to go toward the left most one or toward right most one? The code between lines 78 and 101 controls the speed of the motors. My motors are fitted with encoders, by measuring the time between the encoder pulses I can determine the speed of the motors and make then turn faster/slower. As for your second question, of course you could program something like that. Hello, can this code work with arduino mega 2560? Sure, just change the pin numbers. admin,,, may I use AVR ATmega 32 to control this sensor? Sure but you will need to write your own library or convert the Arduino library so it works with the ATmega32. 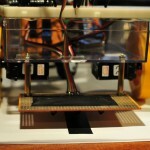 will any pan and tilt servo mechanism work? 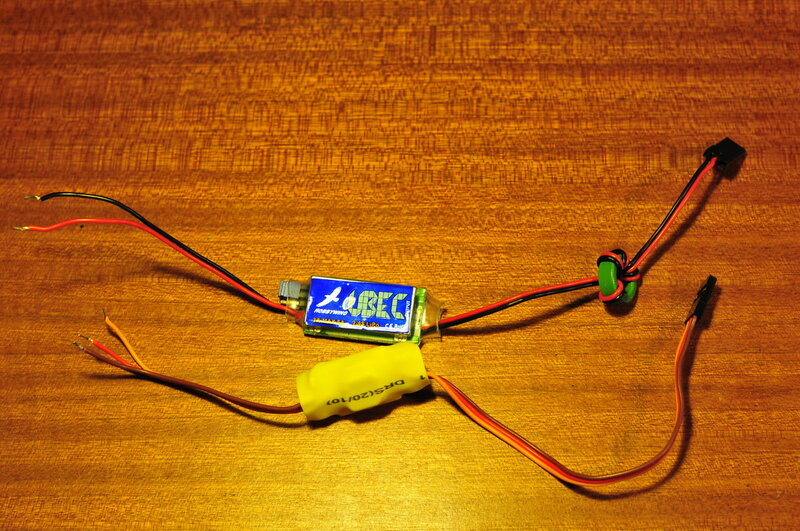 Should work if it uses hobby rc servos. Sir,i have pixy and arduino mega and L293d motor driver and assembled two servo in a bot..do i have to alter anything in the above code?do i have to buy encoder?if so what is the specification for that encoder?do i have to power the two servo separately? Is possible to control power window motor using relay modules,pixy camera and ultrasonic sensor? Please help me in order to solve this problem.Thank you. Hi your work is amazing. I am trying to do almost the same project. So i am wondering if you can show me or send me the schematic of circuit. 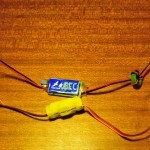 Sorry for my english.And by the way i am using l293b motor driver, would it be a problem? DO you know how to work this without using arduino but using a regular atmgega chip and atmel studio? An Arduino uses a regular ATmega micro controller … It just has the Arduino bootloader. Better ask your question on the pixy forum.